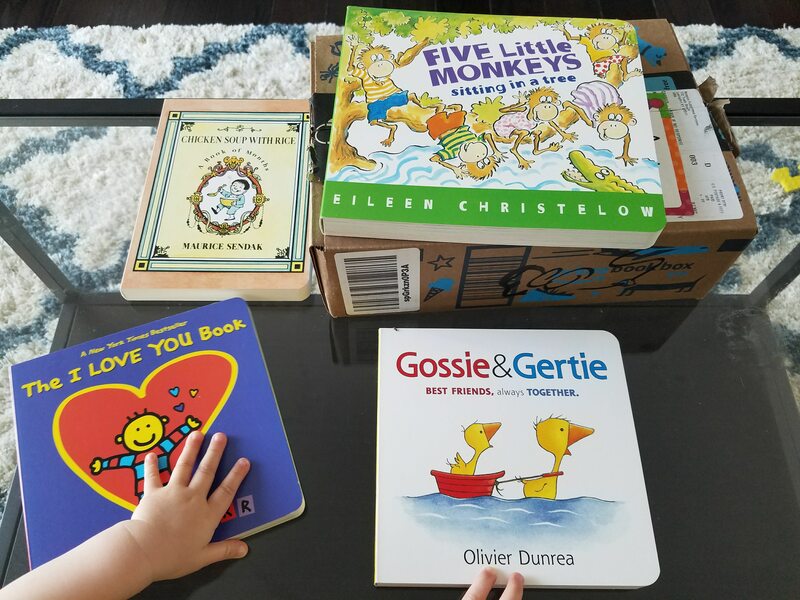 Earlier this year, Amazon launched a new subscription service called “Prime Book Box” – for kids! Coincidentally shortly before they launched I’d just purchased a subscription to Literati for a close friend and was interested in the concept of a book subscription box: you’re likely familiar with how subscription boxes work, so I’ll spare you a boring explanation. Since I’m an Amazon Prime lover and frequent customer, I quickly signed up for the Prime Book Box service and was immediately disappointed. Perhaps my standards are too high or I was expecting something different; this subscription is literally just a box of 4 books that are sent to you as you direct (every 1, 2 or 3 months). Before the box is shipped, you get an email reminder to log in and review what’s being sent your way; you can then change out the books for other choices or skip the box that month. While it’s true that you wind up paying far less for the 4 books than you would if you ordered them each separately through Amazon, I haven’t found the selection particularly interesting month-to-month. At this writing, I’ve only accepted one box (my first box) – pictured above – and I struggle to find the books unique or interesting. While I chose the appropriate age category for A (0-2), I didn’t think these books captured her attention well. It’s been far more fun ordering her books as I see her interest in specific types piqued: flap books, animal books, sound books, etc. However, I may have just expected something more similar to Literati: though it’s slightly more expensive and carries with it a subscription fee of $9.95/month, each box is a surprise. You don’t get to look at what books are being sent to you ahead of time, but the choices are supposedly curated very carefully to encompass lesser-known books. The fee is only for the subscription and does NOT include the books themselves; you have about a week to review the books before you decide which ones you want to keep (at which point, you keep the books you want and mail back the books you don’t). But each box purportedly includes fun little extra goodies; my friend received a science-themed box that had some fun extras that made it worth it for her. I haven’t yet received my first Literati box as I only very recently signed up, but I’m excited to check them out! 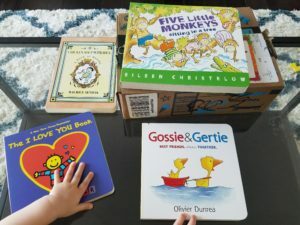 What are your favorite kids’ subscription boxes? By the way — if you want to try Literati, use my referral link and you will receive your first $25 of books absolutely free! You’ll still have to pay the initial $9.95/month subscription fee, but can use the $25 towards the purchase of any of the books from your box. And if you want to try Amazon Prime Book Box for Kids, this is my affiliate link.